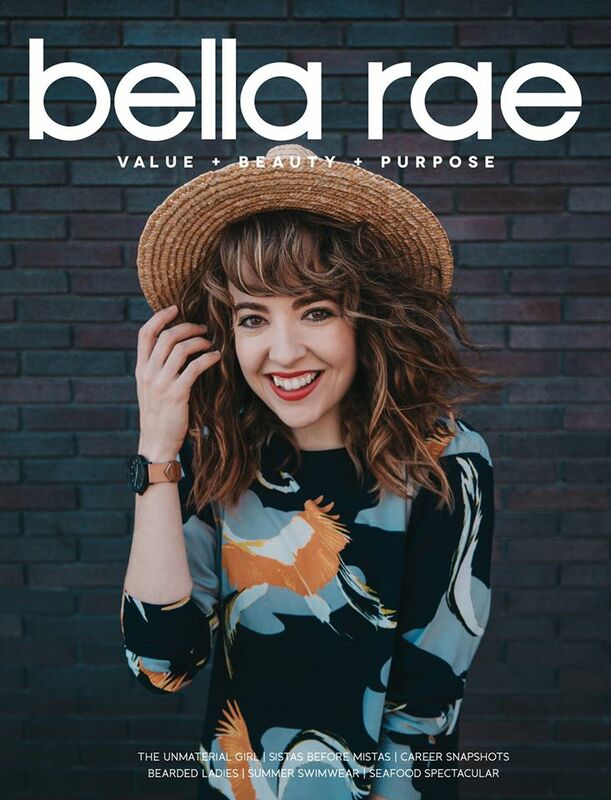 Bella Rae Magazine is a magazine on a mission. 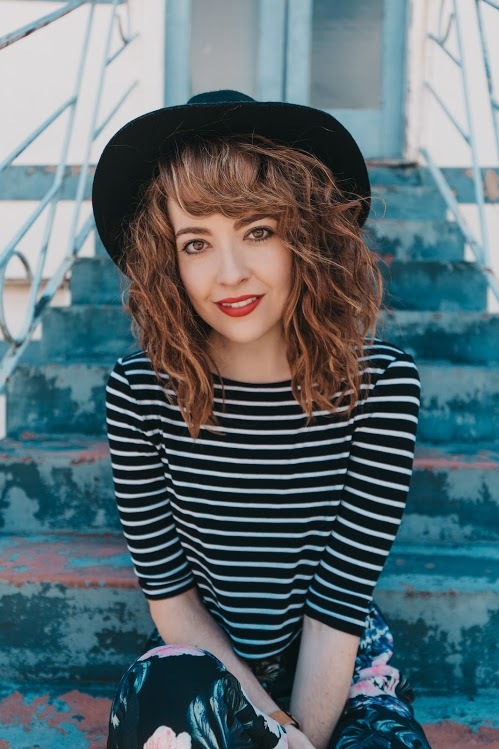 It’s a fresh and bold publication committed to empowering young women to band together and support one another in becoming strong, intelligent and creative leaders. THIS is the kind of magazine I wish I’d been able to get my hands on as a young teenager, because it’s a total breath of fresh air compared to the other publications on the shelves for girls these days. The models are real girls, the stories and content are interesting, relatable and relevant, the layout is quirky and fun, and the overall messages put out by this magazine are ones of authenticity, positivity, respect and sisterhood. 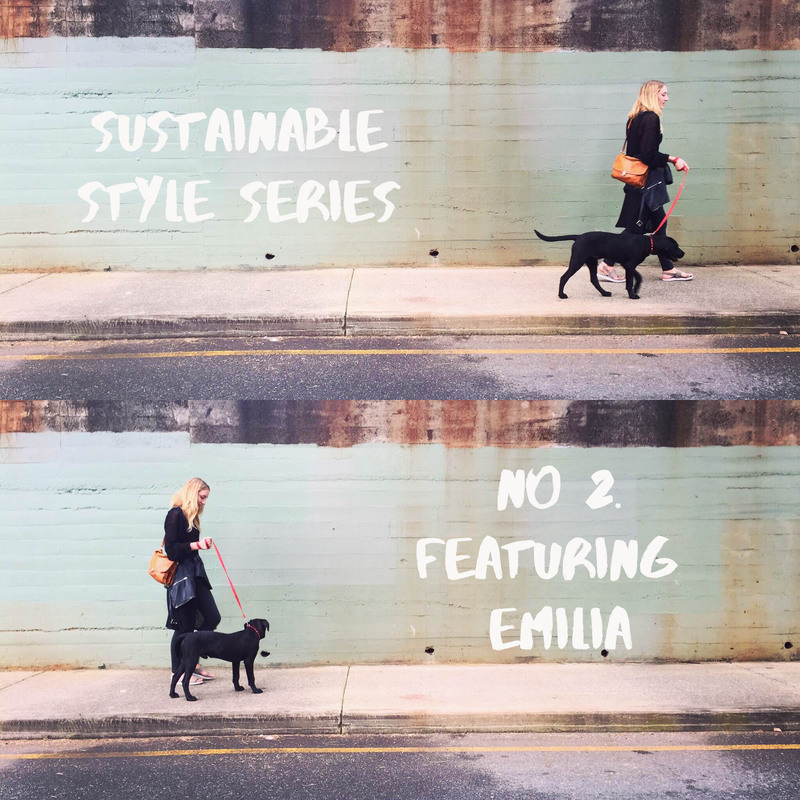 When Bella Rae’s editor Henrietta reached out to me about potentially featuring my ‘Sustainable Style Series’ as an ongoing part of the magazine, I jumped at the chance! 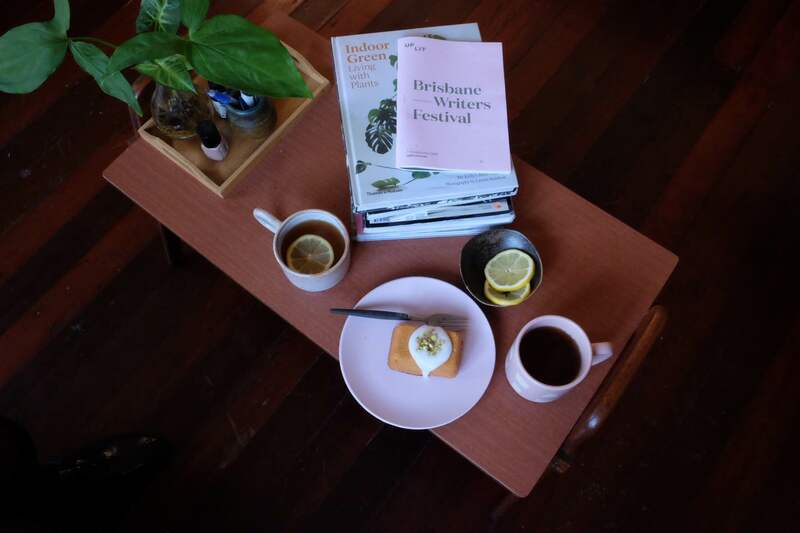 Over coffee and cake, she asked me how I felt about being the cover girl for issue three… and I was blown away! 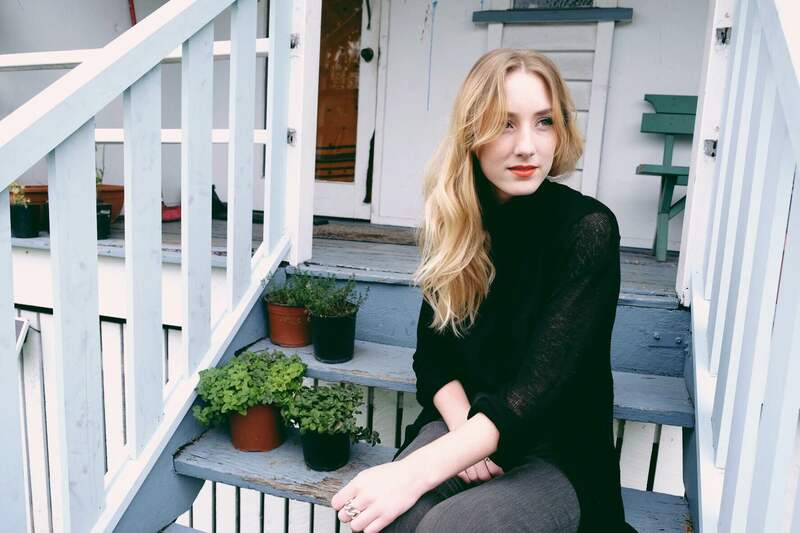 The fact that an emerging young women’s magazine wants to promote and highlight sustainable and ethical fashion is why I think Bella Rae has a very bright future ahead of it. They’re not doing what’s been done before, but instead digging deeper and bringing something different to the magazine industry. Issue three hits stands today (Thursday the 15th of September, 2016) and I highly encourage you to grab a copy for either yourself, or someone who you think could get a lot out of it. 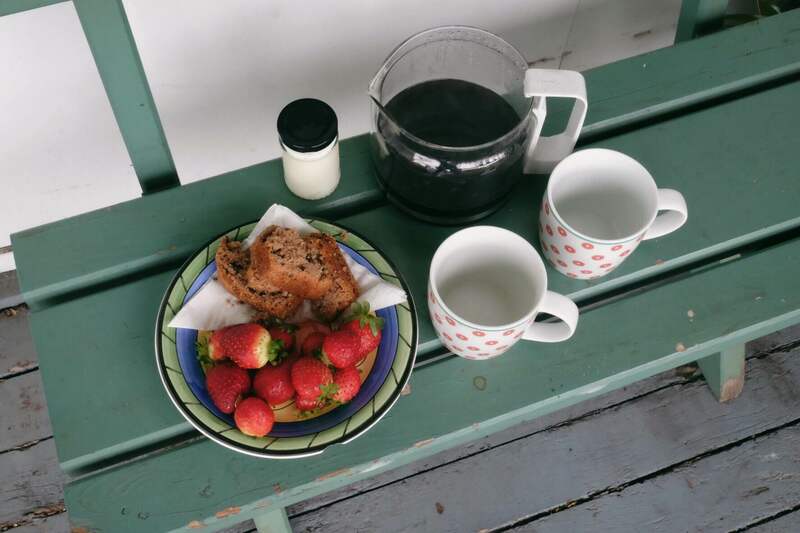 I was welcomed into Emilias home with arms outstretched (literally) and a quaint spread of local strawberries, black coffee and cake. I didn’t expect this project to involve so many treats from my subjects (but I’m not complaining! I feel like a little slow fashion Santa Claus). 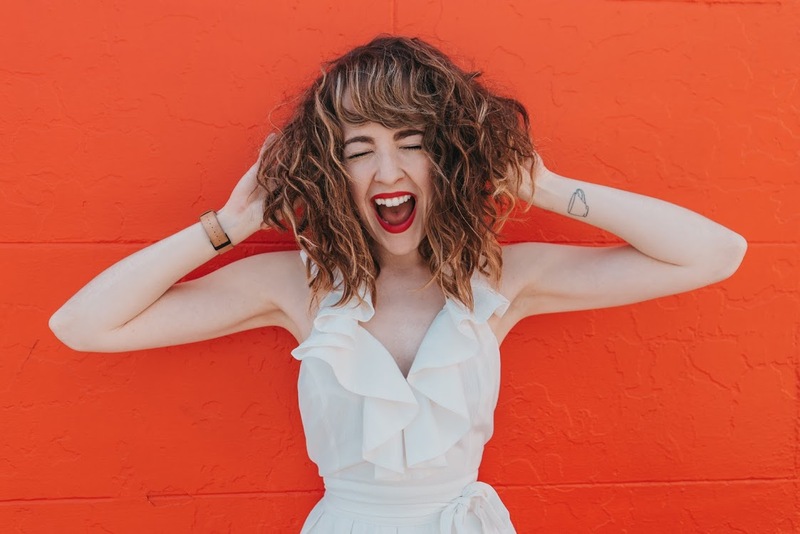 Emilia and I were lucky to become new found best friends within our mid-twenties – a very rare thing indeed. However this only strengthened our bond, as we both instantly appreciated how great it feels to meet someone with a common passion and goal (we study Fashion Design together at Billy Blue College) and have consequently helped each other through many nights of tear soaked assessments and creative endeavours. I help her with English, she helps me with technology – a match made in heaven. 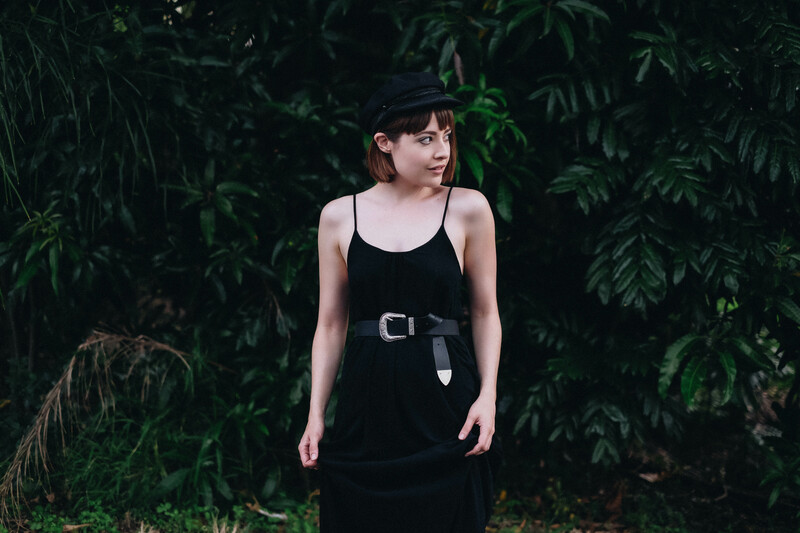 What has always impressed me about Emilia is her simple yet completely refined elegance in the way she dresses for uni each day, and she has slowly coaxed me over to the dark side – the beauty of monochrome. When she shared with me that almost all of the clothing she owned was purchased from markets or second hand stores, I did a little dance. I had a new opp-shopping budding now too! 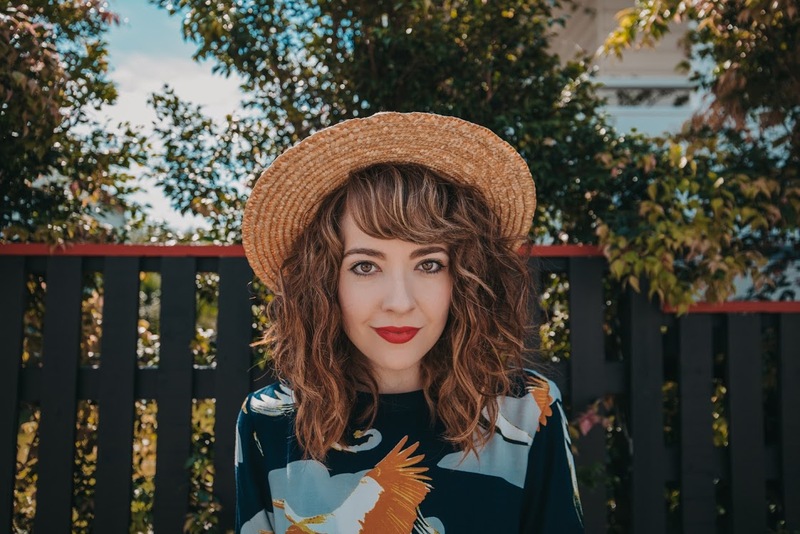 This photoshoot took place in the ancient Queenslander she shares with (11?) other people, a gang of chickens, a crew of ducks and a gorgeous pup named Milo. About 80% of Emilias wardrobe is second hand, a concept that wasn’t all that common when she was first getting in to fashion. Emilia: I found that, when I first started shopping, not a lot of people ever looked in opp shops – but they actually have amazing stuff! I find it way more unique. I also like the fact that most of the time it’s helping an organisation. It’s a win-win. 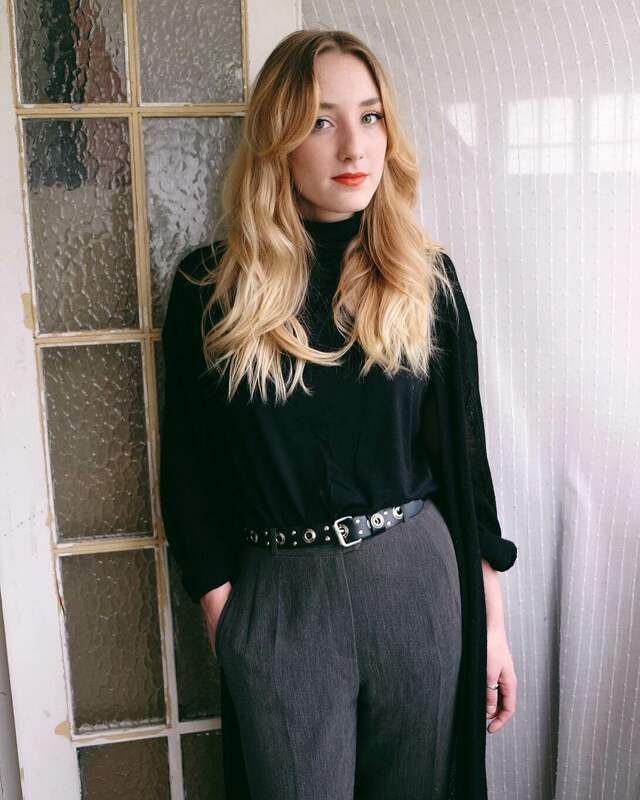 Her first outfit encapsulates Emilias style perfectly – minimalistic, vintage and androgynous (very Swedish). The grey trousers were picked up for $1 at the Suitcase Rummage in Brisbane, the belt was $1.50 from a thrift store in Sweden as was the $4 turtleneck, and the black cardigan was found at a Lifeline in Wynnum. 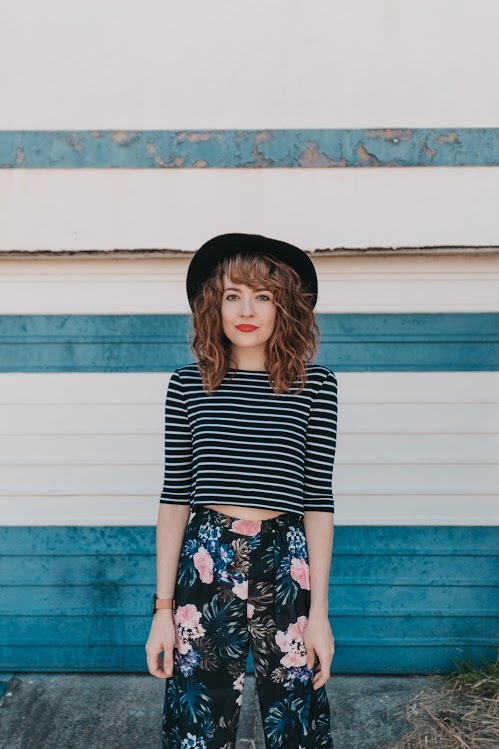 One of the ways I stay inspired when it comes to fashion is by constantly admiring the style of others. 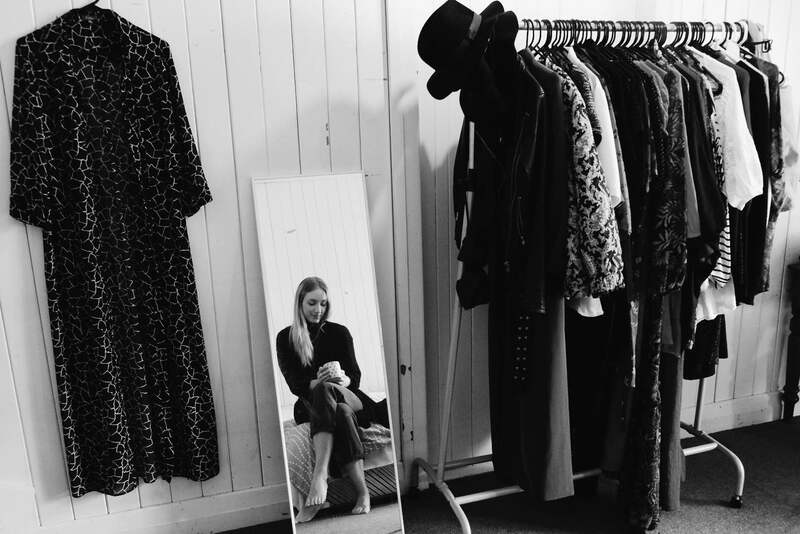 Feeling the need to stretch my creative legs, I’ve decided to do a series exploring the wardrobes of some of my friends, all of whom acquire most of their clothing via sustainable means (opp shops, vintage, swapping, inheriting). 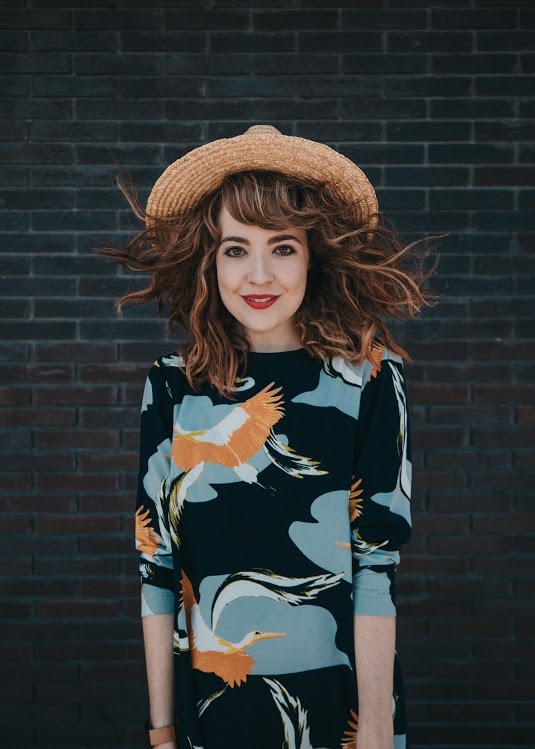 I want to shine a light on the myriad of people doing amazing things for slow fashion, just by being conscious of where and how they shop. They also all happen to be stylish as hell. 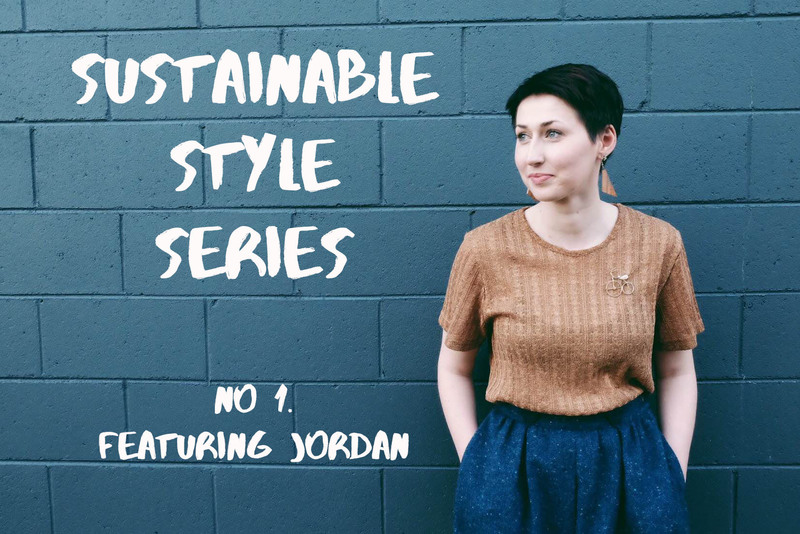 I’m excited to share with you the first of this Sustainable Style Series, beginning with the one powerhouse-of-a-lady… Jordan. 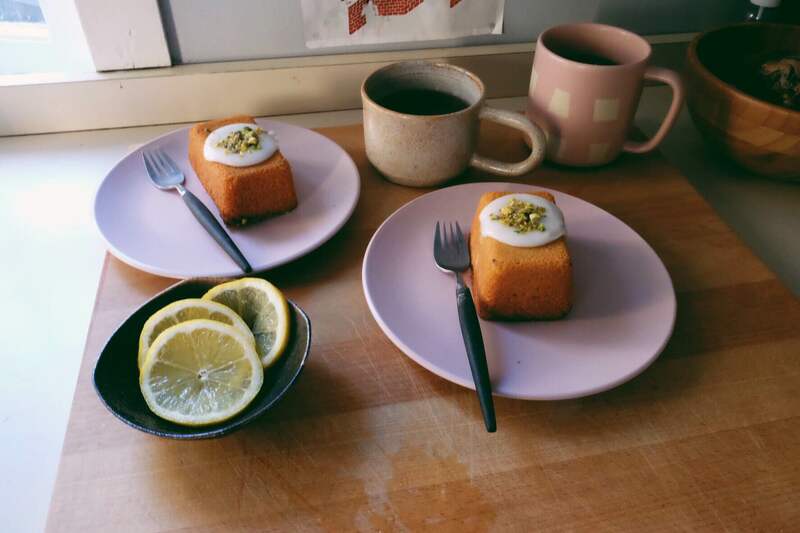 I was welcomed into Jordans home with a display of (what happens to be my favourite) cake fresh from Botanica and earl grey tea + lemon. Heck yes! 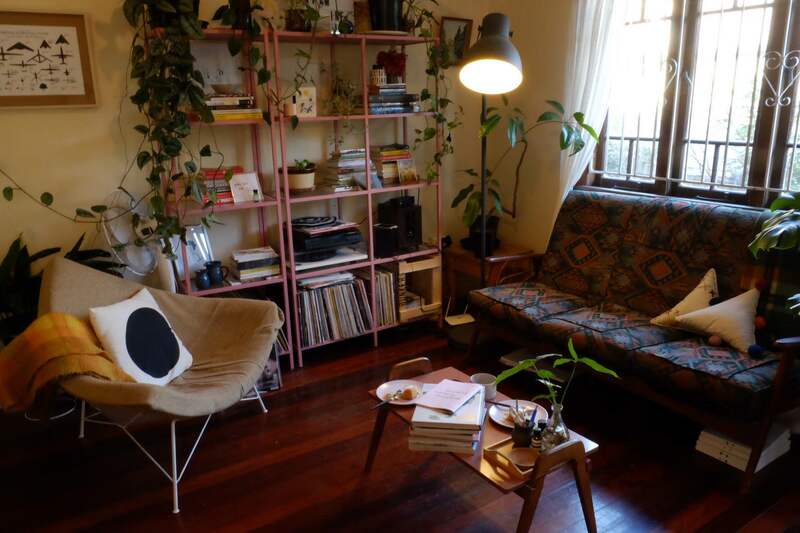 I was instantly in awe of the plant-filled Queenslander she shares with housemate Jess, the perfect backdrop for our photoshoot. I struggled to contain my excitement when I spotted the ladder-turned-wardrobe which housed the majority of Jordans clothing. 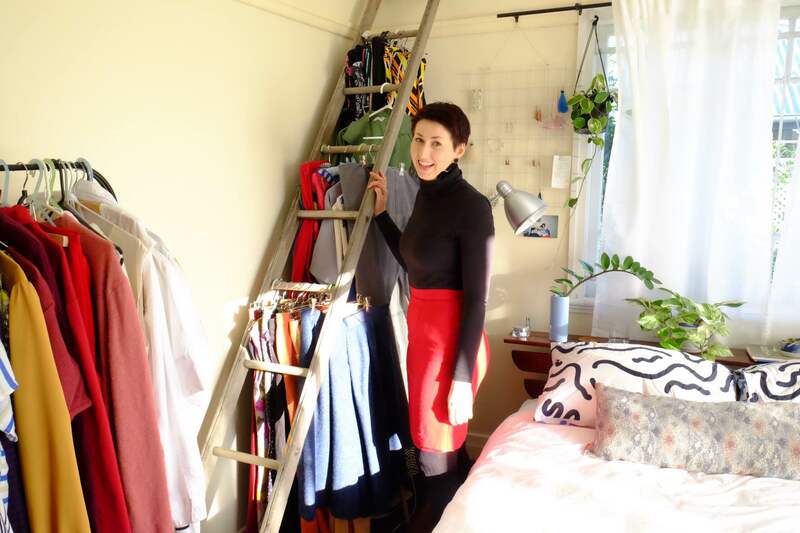 What’s more amazing is the fact that the ladder itself is second hand, passed on to Jordan by her Grandfather who had owned a construction company in West End.